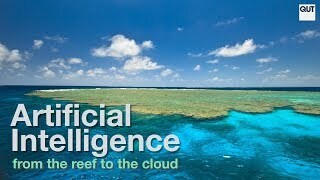 QUT - Science and Engineering - Virtually unstoppable! QUT students win VR Hackathon. Virtually unstoppable! QUT students win VR Hackathon. 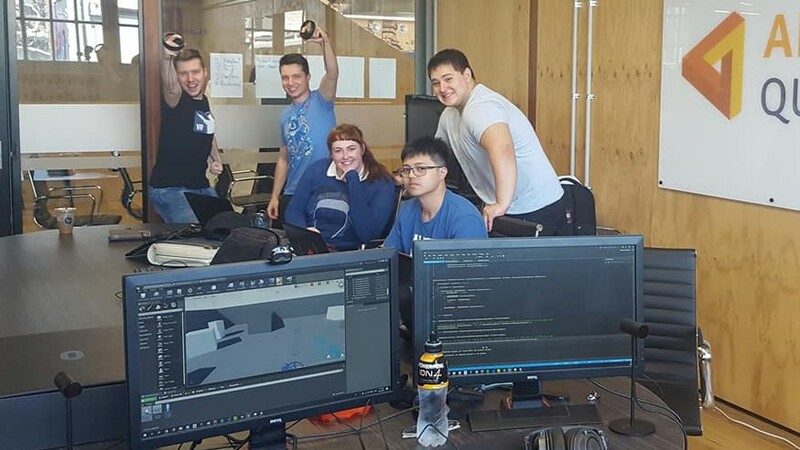 Students from QUT's Bachelor of Games and Interactive Environments and alumni from QUT's Bachelor of Games and Interactive Entertainment claimed first place at the Queensland Virtual Reality (VR) Hackathon 2018. Their prize includes flights and accommodation so the team can compete in the Global VR Hackathon in China this November. Participants of the Queensland VR Hackathon were asked to create immersive VR experiences that were quick to understand and satisfying to play within just 46 hours. The team worked on a game in which the player controls a wizard shooting fireballs at floating targets. The player was able to control the fireballs using the Leap Motion module that can detect the player's hands. 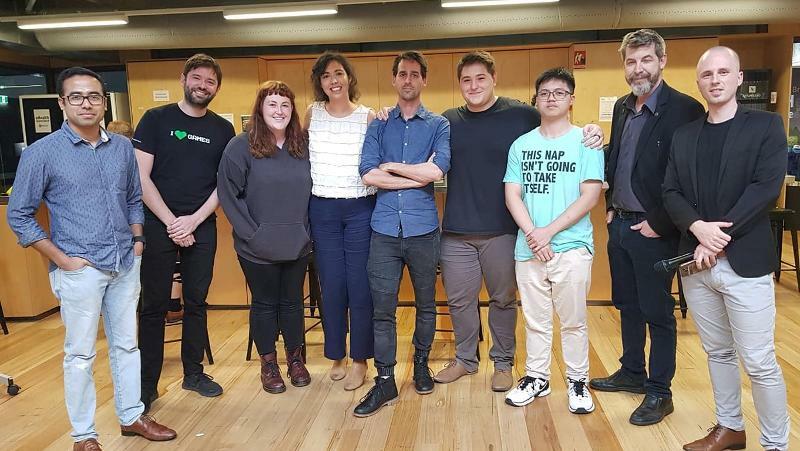 The Queensland VR Hackathon was organised by Brisbane XR, co-founded by QUT alumnus and entrepreneur Richard Eastes. QUT Science and Engineering student Daniel Tan said that his team's biggest obstacle was creating an immersive experience within a short timeframe. "The difficulty of the project came to executing it well enough for the time we had," Daniel said. "It came down to communicating with the team, laying out a plan, and trying not to over-scope the project." Daniel said studying at QUT helped him prepare for the challenges of a hackathon competition. "Getting to make games throughout my degree at QUT has allowed me to practice working in a team. "QUT also gave me the opportunity to learn about the process of game development and the challenges involved in it." Teammate and QUT alumnus Lexi Townsend praised the Queensland VR Hackathon for pushing competitors to try new things. "You can try to develop new mechanics you think may not work or might be too difficult." When asked about how someone might prepare for a hackathon, QUT alumnus Thomas Knowles said it was all about passion. "Create games, create software, do whatever you love to do as long as you are practicing every day," Thomas said. "They say it takes 10,000 hours to master any skill so you might as well start now." The Queensland VR Hackathon was supported by Advance Queensland and sponsored by HTC Vive and MSI.